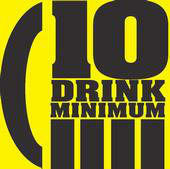 On this episode, Jason Hartman interviews host of 10 Drink Minimum Chris Burnett about his podcast experiences. Several years ago, Chris began listening to podcasts, some well done, some not so great, and got the idea that if they could do it, so could he. He talked two of his friends into co-hosting the podcast with him and over 300 episodes and six years later, 10 Drink Minimum is still bringing a different take on pop culture, sports, anything in life. In addition to an audio podcast available on iTunes, Chris and co-host Billy host a live video show through UStream during which they take live calls. The show is non-scripted and, with the calls during the live show, it is more organic in nature. They sample microbrews on their show and receive all sorts of interesting things in the mail from all over the world, including recording equipment! Chris talks about how this hobby has begun opening other doors, but he keeps everything in perspective. He relies less on statistics and more on feedback from fans. Chris’ advice is to get the best audio quality possible, and don’t be afraid to get in front of the camera to do live streaming. “Just have fun with it,” Chris encourages. Chris grew up in Eastern New Mexico. He is a computer technician by day. He began podcasting six years ago, moving the podcast up to Albuquerque five years ago. He has been doing the podcast out of his house in Old Town, Albuquerque ever since. It is a comedy show on anything pop culture with a dedicated following.